Silikal pet shop flooring is of course all in one piece, known as monolithic in the flooring business, thus is in very high demand for same. Now that pet shops allow humans to bring in their pets to shop pet shop floors absolutely must be non-slip. 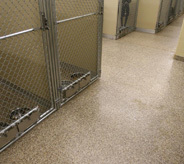 Floors utilized in pet shops are all non slip, and of course are thoroughly simple to clean. Pet shops never used to let us bring our animals in to shop for them. Today however the tide has turned, and they not only let us bring them in, they actually encourage it which has made pet owners even happier to shop in those particular pet shops. Gone are the days when if you needed a new collar for your pet you would go to Wal-Mart or some other mega-store to purchase it. These new pet stores are much more customer-friendly. 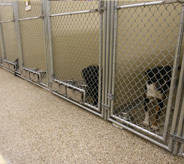 The selections in pet shops are certainly much wider, and they take an interest in your pet if you bring it in which makes the owner as proud as can be. They make more sales because they allow the pets inside, and thus everyone is much happier. Could one of the pets possibly have an accident, yes of course, but the savvy pet shop owner is quite prepared for that, and more often than not have a mop, pail, and cleanser at the handy, and whoever is manning the store at the time is more than glad to clean it just to keep the pet owner shopping there. One can only suppose that that’s one of the drawbacks of owning a pet shop. Pet shops are always fun to look through no matter what kind of pet you have. Where else can you purchase a welcome mat that proclaims “The grass is greener under my wiener” with the drawing of a cute little wiener dog on it? So the pet shop owner will need some rather specialized flooring. The usual slip and slide type of shop flooring certainly will not do. 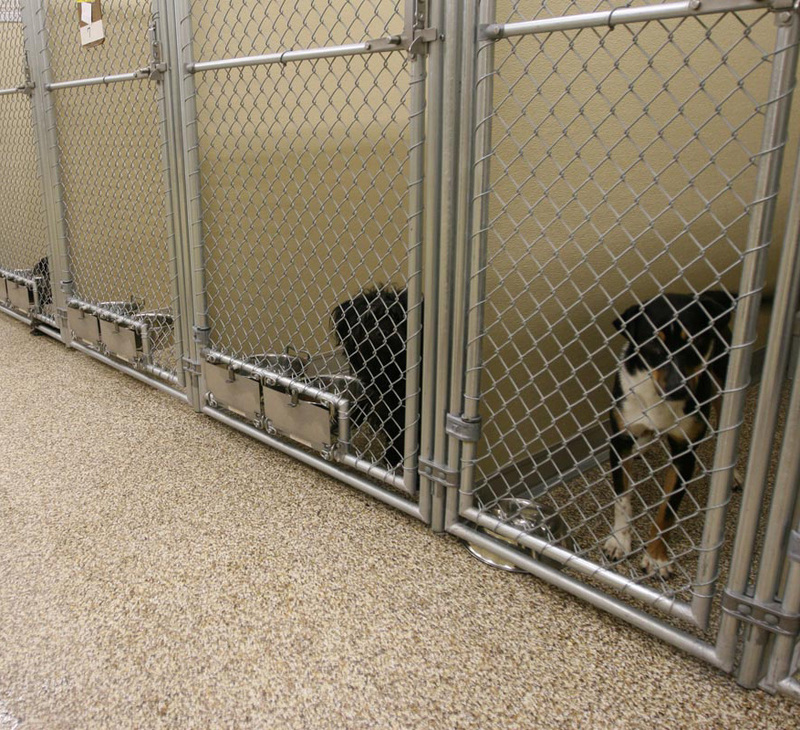 First of all those pets which come in on a leash will slide too much on that category of flooring, and next if one of the pets does have an accident, the flooring needs to not be slippery even when wet. 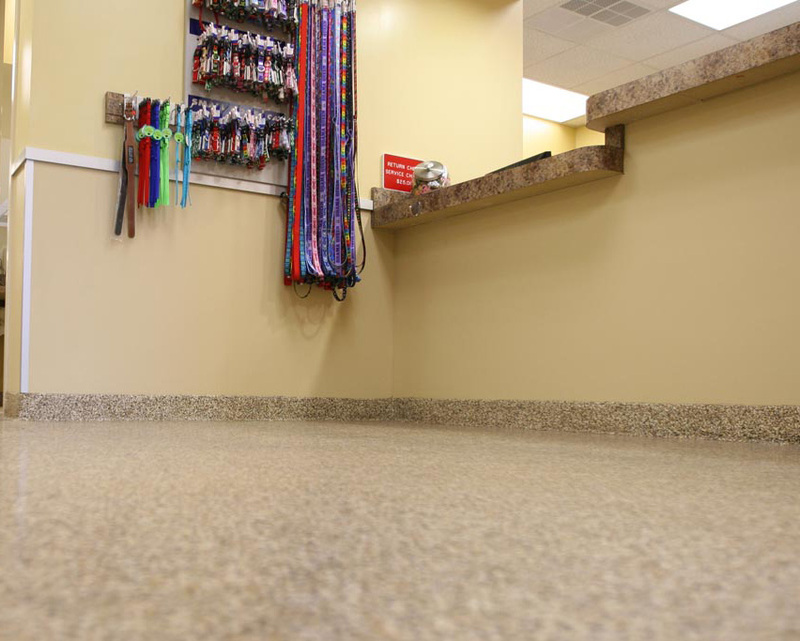 Next of course a pet shop owner will want the flooring to be beautiful and attractive, perhaps with a natural looking shine to it that spells out how neat and clean the shop is. A bright floor is always eye-catching, no matter what is being sold there. Monetarily wise a pet shop owner also realizes that no matter what they do, they need to be more competitive. They are fighting with online pet stores, catalog operations, nontraditional pet store outlets such as the local flea market, discount chains, and of course the large highly aggressive pet superstores. 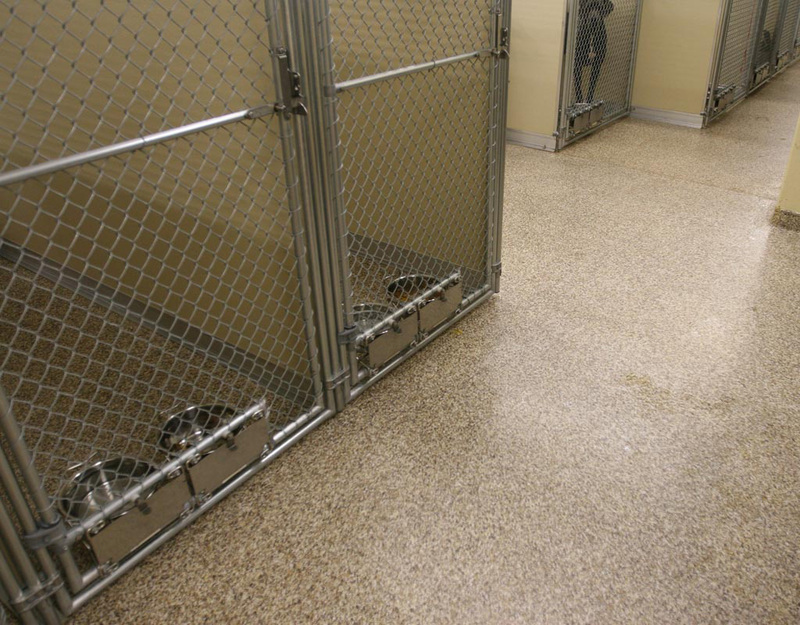 Realizing that none of those pet superstores would put up with dingy, perhaps damaged flooring, one of the best ways to modernize is to start from the floor up. This is where Silikal comes in. First of all installation of new flooring is a complete breeze for Silikal, as they have been in the flooring business for over 55 years! They will send in a crew to install the new floor and then all that’s left to do before reopening the store is to wait for the floor to cure. 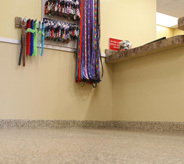 But, there’s a very nice surprise in store for this pet shop owner, once the floor is laid, the wait is only one tiny hour, unlike competitors who say that theirs takes anywhere from 4-24 hours to cure! Remodeling projects are enough to make one tear out one’s hair, so having to close down for 24 long hours to wait for flooring to dry just adds to it. Next the new Silikal flooring will all be one piece, there will be absolutely no seams in it whatsoever. That means that no matter if some canine piddles on it, it will come out clean without ever going underneath the flooring.